Harry Potter Website Receives 480,000,000 Hits! I heard on the news (07-20-07) that Harry Potter fans are extremely excited about the release of the latest Harry Potter in the series, The Deathly Hallows. Fox News featured the following website, operated by Emerson Spartz at www.mugglenet.com. The website was started when Emerson was only 12 years old, and now he is 20. Mr. Spartz admitted to Fox News that he is paying for his college tuition with proceeds from his website. Unbelievably, the website receives 40,000,000 web visitors per month according to Mr. Spartz (Fox News: 07-20-07) ... that's 480,000,000 web hits PER YEAR! It clearly shows just how demonic the world has become, and the extent to which Satan is using Harry Potter to demonically influence children. Jesus-is-Savior.com has received slightly over 5,000,000 visitors during the past 5 years, which is dwarfed in comparison to the popularity of Harry potter's witchcraft. Shame on professed "Christians" today, who allow their children to read and watch Harry Potter. Sadly, few people DESIRE the truth nowadays. This is tragic! The world is following Satan, eagerly awaiting the antichrist. The greatest danger of Harry Potter is that it DESENSITIZES young people to the sinfulness and spiritual dangers of witchcraft. Literally, Harry Potter is an introductory course into witchcraft, clearly evidenced by the Hogwart's School of Witchcraft and Wizardry. Children can actually enroll into the Hogwart's School of Witchcraft. Here's another Hogwart's Witchcraft school where children are taught divination, charms, and potions. This site is maintained by a 15-year old Canadian girl (just one of millions of young Satanist's being groomed to prepare the stage for the coming antichrist). A Dangerous Hero for Our Children! Fox News also reported that counselors are being placed on alert around the world, to deal with millions of grief-stricken fans if Harry Potter dies in the last sequel. This is crazy folks! It clearly shows the worldwide cult following, loyalty, and admiration that young people have for a witch named Harry Potter. Would to God that the world had such admiration for the things of God. Hundreds of Harry Potter fans were waiting in London, camping overnight on the sidewalk, awaiting the arrival of J.K. Rowling's last movie in the demonic series. Oh! How Satan is preparing the masses for the coming of the Antichrist, i.e., the Beast foretold of in 2nd Thessalonians 2:6-12. From the illusions and demonic wonders of Criss Angel, to hundreds-of-millions of Catholics bowing in idolatry to statues of Mary--the masses are being prepared to receive and worship the Beast. The world is fast approaching a cashless society. The world is becoming smaller and smaller due to GPS, cellphones, palm tops, satellite imagery, the internet, and other forms of advancing technology. In so many ways, everything is pointing to the Lord's return, i.e., the Rapture, which must take place BEFORE the Antichrist is revealed. People nowadays are absolutely infatuated with the occult, Satanism, magical powers, vampires, witchcraft, levitation, etc. These things are all demonic. A man recently told me that he personally witnessed someone levitate. I told him that if he legitimately did, it was of the Devil. Any spiritual power not of God is demonic. 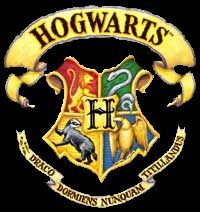 The entire Harry Potter series teaches and promotes spiritual POWER, i.e., potions, spells, magic wands, magic mirrors, flying brooms, enchantments, etc, etc, etc...BUT, these powers are not from the Holy Spirit of God. 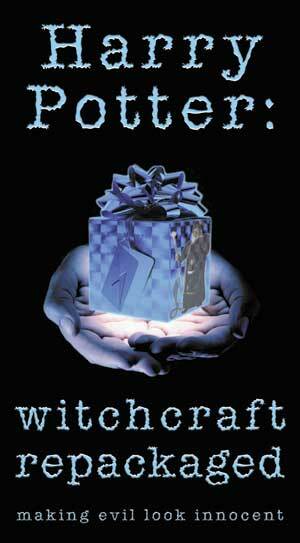 Witchcraft derives it's power from Satan. It is the desire for power that lures many people into witchcraft, and there is limited power available; but, it is the power of Satan. Occult powers are real, and many people today dabble in them, but Satan always requires one's soul in exchange. Keep in mine that Pharaoh's magicians successfully mimicked some of the miracles performed by Moses. It is worthy to note that Pharaoh's magicians COULDN'T reproduce all of the miracles. Thus, Satan's power is greatly limited in comparison to God's omnipotence. If you want access to unlimited power, then ponder 1st John 4:4... "Ye are of God, little children, and have overcome them: because greater is he that is in you, than he that is in the world." There is NO one greater than Jesus Christ. Harry Potter is a loser, and only losers follow him. Why follow a witch as your hero? The Devil desperately wants young people to idolize ANYONE except Jesus Christ--Santa Claus, the Easter Bunny, Harry Potter, Pokemon, the tooth fairy, etc. Harry Potter is of the Devil, hates God, and should be shunned by society as a despicable menace. I plead with you, destroy your "curious arts." Acts 19:17-19 state, "...and the name of the Lord Jesus was magnified. And many that believed came, and confessed, and shewed their deeds. Many of them also which used curious arts [witchcraft] brought their books together, and burned them before all men..." Harry Potter is popular because he is a demonic witch. If Harry were a Gospel preacher, he'd be abandoned and forgotten. Harry Potter is rotten to the core, an apple filled with worms! Please don't be deceived, Harry Potter is anything but harmless. Danger! Harry Potter will take your child to Hell, which is where J.K. Rowling is headed. Jesus Christ is the one whom our children should be praising and idolizing; not Harry Potter, a Satanic wizard.